We have been working diligently on our spelling (translate that to, they want to write messages on signs in Minecraft and I refuse to help them spell words…so they must learn spelling) so I’ve been working on some activities to help push the spelling along. 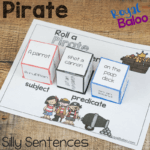 Make a Word activities are great because it’s really more than just spelling. 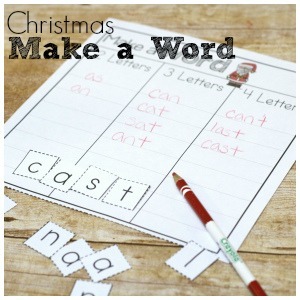 And themed make a word activities, like Christmas make a word, is just plain fun. We are on day 8 of the 12 days of Christmas and not done yet! Don’t miss the rest of the week and make sure to sign up for the newsletter for future deals, round ups, and exclusive freebies in your inbox every Thursday! 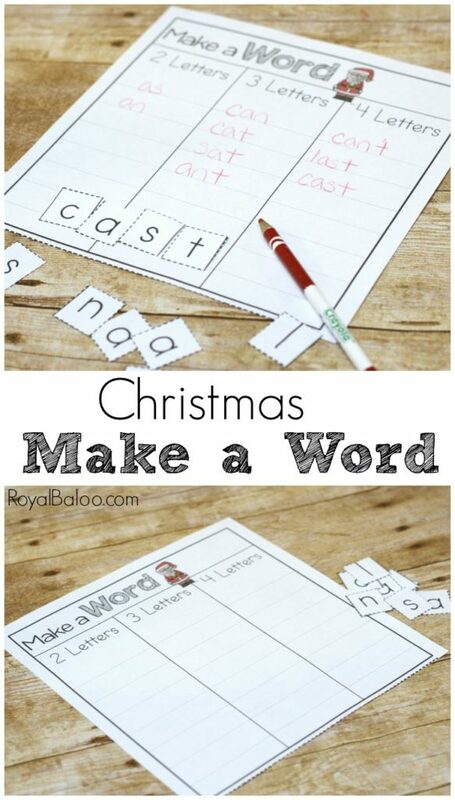 After cutting out the letters, move them round to see what words you can make! Bonus points for longer words! Keep moving the letters around and discovering new words you can make. 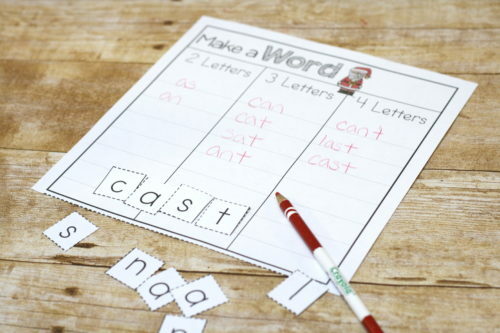 Try a different page to make words with different letters! There are 4 sets: Christmas Tree, Santa Claus, Merry Christmas, and Gingerbread Man. 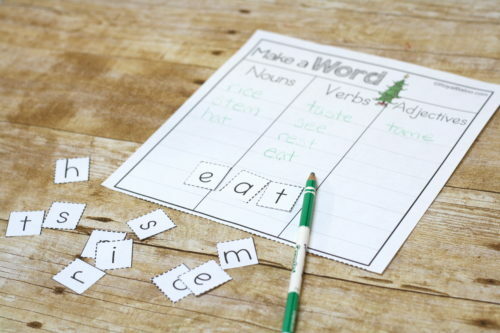 Plus each word comes in both versions – the nouns, verbs, adjectives or the 2 letters, 3 letters, and 4 letters. 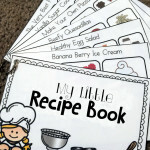 I find the parts of speech is better for slightly older kids.